Who is making you angry?! Maybe it’s the barking dogs, noisy neighbors, or some other idiot who makes you angry! 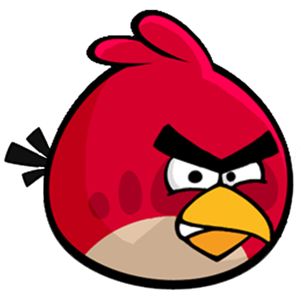 If you’re prone to anger, you probably convinced its other people’s stupid, self-centred behavior that makes you angry. It’s perfectly natural to assume someone else is the cause of your bad feelings. ‘You’re annoying me! You’re getting on my nerves! You’re making me angry!’ When we’re mad with someone we tend to blame them. However when you think like this, you’re fooling yourself. Other people can’t really make you angry. I can see you throwing up your hands in disbelief. In the last post I said how angry I got with bad mini-bus taxi-drivers. But no matter how unfair others seems to be they cannot make you angry. Sorry to disappoint you but you’re the one who is creating all the outrage you feel! Anger, like all our other emotions is created by our thoughts. Your feelings are a result of the meaning you give to the experience, not from the event itself. Let’s look at some examples. After a hectic day, you put your 2 year old to sleep in his crib for the night. What a relief! And now you’re looking forward to some quiet time of relaxation watching the TV. Twenty minutes later guess who appears at the living room door, giggling with delight? Your toddler, who has now managed to crawl out of his crib for the first time. How would you react to this situation. You could respond in one of several ways depending on the meaning you attach to the experience. 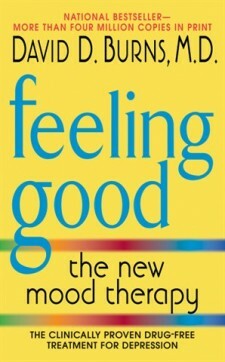 Your mood is a direct consequence of the meaning you give to the situation. Yes, you might say, but when I get angry it’s really justified. Maybe you’re right BUT sometimes the consequences of an angry outburst could do more harm in the long run. You inflict pain on yourself when you’re angry and this pain could be far worse than the pain caused by the original ‘wound’. When you’re angry, ask yourself if you’re blowing things out of all proportion – this is very common. You exaggerate the importance of what has happened. For example you might be the punctual one in a relationship but your partner isn’t. It’s now 5 minutes after you should have left and you’re pacing up and down. “I can’t take this any longer”, you start muttering and the blood pressure rises and you blow up! Well, that’s an exaggeration, since you are ‘taking it’. Often anger is a result of wanting things done our way (obviously the right way!) When someone reacts very differently to you, try and work out what meaning they are attaching to the situation. This will give you a greater understanding of the other person and could help to dilute your anger. Anger is often the result of using the word ‘should’. Do me a favor and watch out for all the times you use or hear the word ‘should’. You will notice that when the ‘should’ word is used, you will find ‘anger’ lurking round the corner reading to do some nasty work . I know of many marriages that have been saved once the partners gave up on the ‘should’ word … but more of that in my next post.